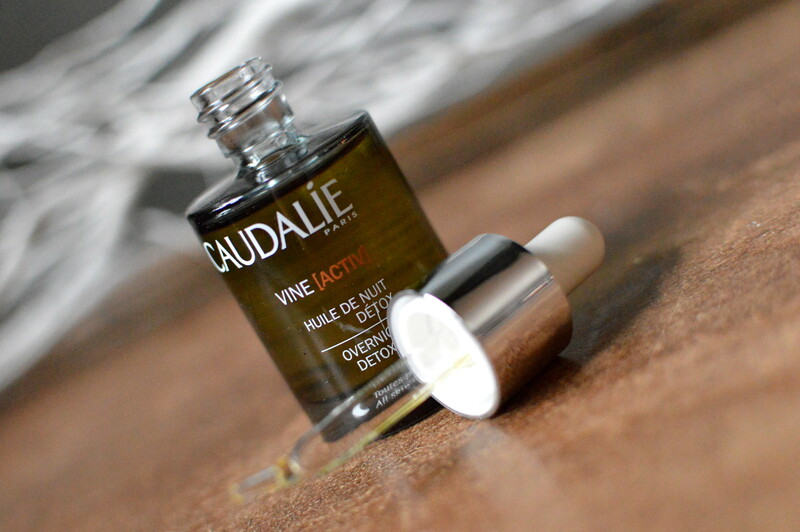 Last week you could read a review about the Caudalie Vine(Activ) 3-in-1 moisturizer. I have bought another product from the same range: the overnight detox oil. Read on to find out my thoughts! 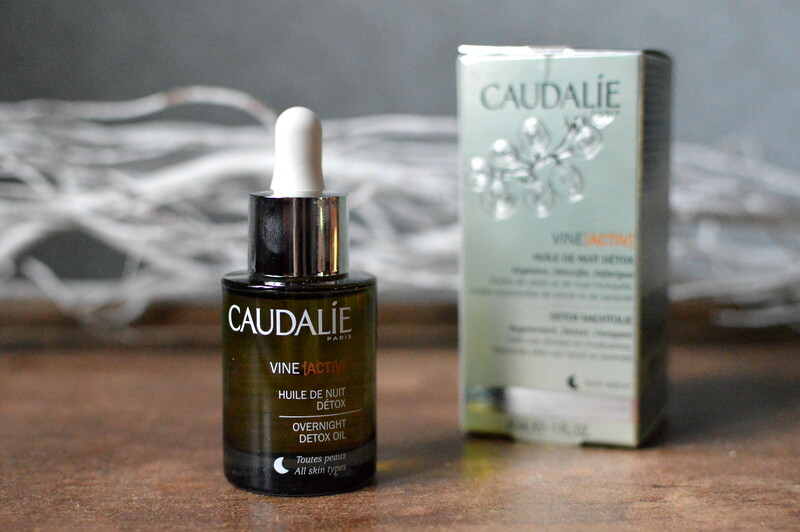 ‘Renew & protect overtired skin while you sleep. This dry oil is ideal for skin exposed to stress, pollution, UV’s & other free radical’s. The skin is detoxified and smoothed, the complexion refreshed. Six drops of this oil is enough for your entire face! Caudalie advizes to massage the oil in from the nose towards the temples, then from the middle of the forehead to the left and then to the right. You can use the oil on its own or you can add a nightcream. When I use the oil, I first spray a bit of rosewater on my face. The oil spreads even better that way. The oil is extremely hydrating. My skin absorbs the oil really well and doesn’t feel greasy after using it. My skin feels soft and fresh. One of the main ingredients is grape seed oil, which nourishes and repairs the skin. The price: even though this oil is about 35 EUR for a 30 ml bottle, compared to other face oils, this is a very competitive price! The oil has a funny, smokey, herbal smell… I got used to it, but I don’t particularly like it I must say! 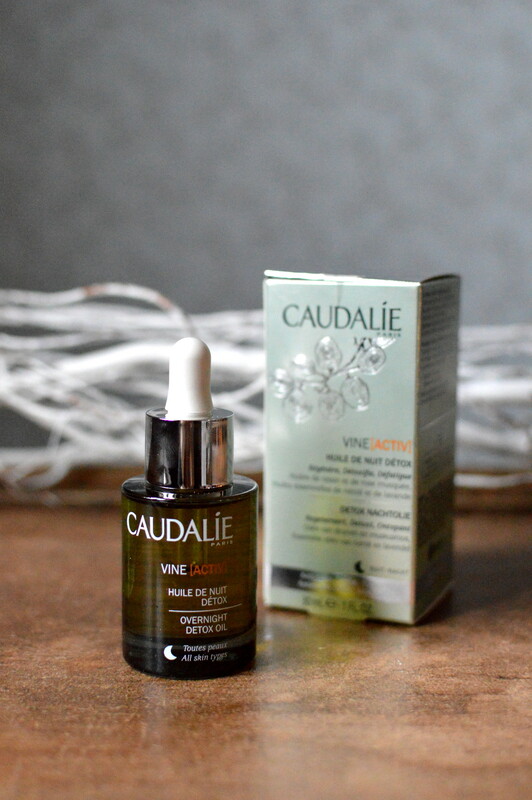 This entry was posted in Beauty, Skincare and tagged caudalie, overnight detox oil, vine(activ).